Sonic Boom Boxing Scene Awards. This great award is available in 2 sizes, 170mm and 190mm high. Silver with gold detail. 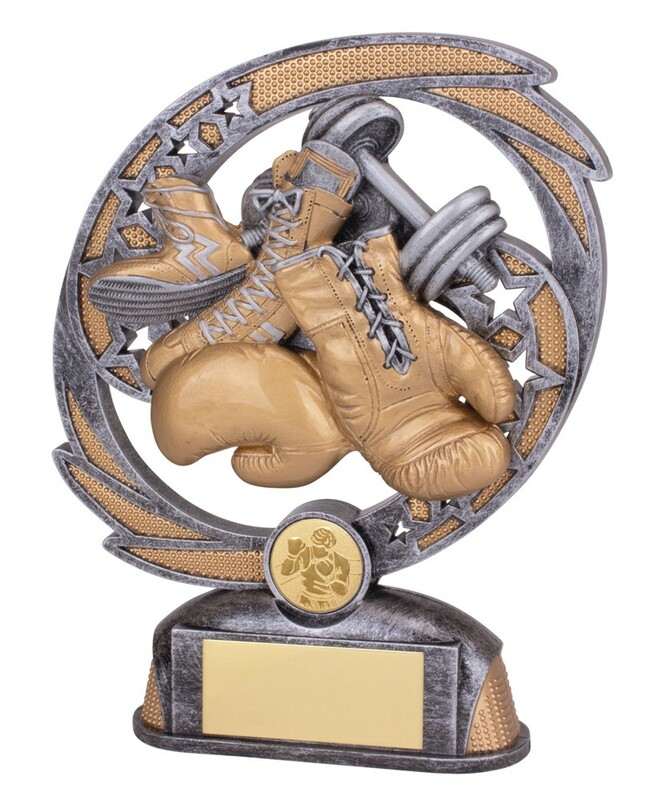 The trophy depicts a dumbbell weight, boxing gloves and boots. A highly detailed award.